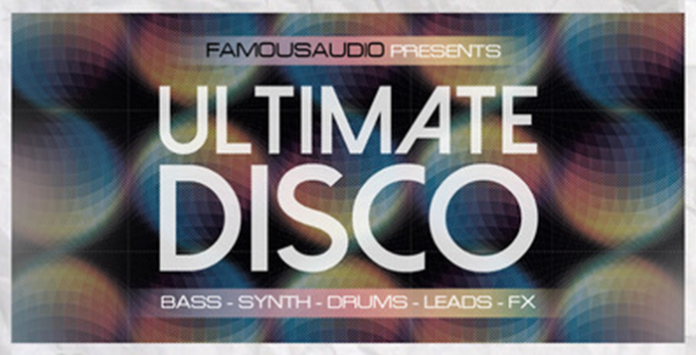 Famous Audio proudly present “Ultimate Disco” containing 9 of the finest disco construction kits at 128 BPM. Full of trippy and innovative sounds, from classic disco to twisted reaches of deep house. “Ultimate Disco” is stacked full to the brim of ingredients you need to create your next epic production. Full of authentic retro disco and club sounds but with a modern feel. Loaded with sizzling leads, shimmering synth-disco, pumping beats, glossy synths, funked up synth licks, mega brass sections, orchestral disco strings, bouncy basslines, electrofied FX, stomping house beats, layered disco percussion, 80s arps, piano licks, sequenced grooves and arpeggios, slinky melodic phrases and soulful keys, spacey synths and more.. This pack offers infectious melodic content for house, disco and electro productions. You can expect to find here with 1.7GB of material spread over 76 Stems + 137 Loops & Samples + 9 Full Mixes. In detail this pack includes, 9 Key labelled construction kits of combined drums, hi-hats, kicks, snares, bass, synths, screams, bleeps, noises, vox and FX broken out in individual track stems. Each Kit comes with a full mix, plus all individual elements broken out – for all modern producers looking to inject an authentic Disco groove into their productions… So you can use them on their own or mix and match key elements from different kits for brand new exciting ideas. All loops & samples are key and tempo labeled for flexibility – you can fit them into your workflow easily and/or mix and match with your other content. “Ultimate Disco” is not only dedicated to be used for Disco tracks – but can also be used in many genres such as Indie Dance, Nu Disco, Deep House, Funky, Electro House, Techno and many other styles. Get ready to go back in time and experience a fabulous night of Disco with us!